Weeping Boy malayalam movie, the directorial debut of Felix Joseph will be mouth watering treat for movie lovers as Sreenivanan is back with his extra ordinary comedy sequences. Donning the character role of Sahadevan, a veterinary doctor, Sreenivasan is back in comedy track to entertain the fun loving audience. Given above is the definition of Economics according to Lionel Robbins, a British economist. But how is this definition connected to malayalam movies? Even though this particular definition was uttered 78 years ago, it was Sreenivasan through 'Chinthavishtayaya Shyamala' made it popular among Keralaites. Many punch dialogues which had come from the brain of Sreenivasan are still waving on the lips of movie lovers who keep them close to their hearts. 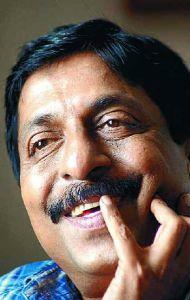 The life of movies scripted by Sreenivasan would be the fragrance kept inside the dialogues. After sizzling on screen with Thalayanamanthram, Udhayananu Thaaram and other movies, Sreenivasan is all set to entertain the movie enthusiasts as Sahadevan, a veterinary doctor. Titled 'Weeping Boy', this would be the directorial debut of Felix Joseph. In this movie, Sreenivasan handles the role of a doctor who keeps special characteristics. His character Sahadevan is a peculiar person who cries for every little reason. Being so innocent, he cries for even the slightest cause which streams into his cowardliness. The movie pools into the life of Sahadevan, who finds difficulties in life due to his naive character. Even being a veterinary doctor, he is too afraid to deal with animals. The movie travels through the in and out life of Sahadevan in a hilarious way. Produced by Abraham Mathew, Felix himself has handled the screen play and dialogues. The shooting of 'Weeping Boy' is expected to start soon with Pollachi as the main location. So get ready for a majestic ride with Sreenivasan who is gearing up to tickle your funny bones.